Vol. I (Le Phenomenene Humain. Paris, Seuil, 1955) The Phenomenon of Man. N.Y.: Harper, 1959; 1961 p.b. 1965 revised p.b. Teilhard's only systematic presentation of his theme of the evolution of man towards Omega. For an updated translation, see The Human Phenomenon, trans. Sarah Appelton-Weber (Eastbourne, UK: Sussex Academic Press, 1999). Vol. II (L'Apparition de l'Hommme. Paris, Seuil, 1956) The Appearance of Man. N.Y.: Harper, 1965. N.Y.: Harper, 1959; 1961 p.b. 1965 revised p.b. Teilhard's theory of the origins of man. Vol. III (La Vision du Passe. Paris, Seuil, 1957) The Vision of the Past. N.Y.: Harper, 1967. Development of the themes of The Phenomenon of Man. Vol. IV (Le Milieu divin. Paris, Seuil, 1957) The Divine Milieu. N.Y.: Harper, 1960; 1965 p.b. A classic essay on the interior life; a Christian spirituality "for those who love the world." Vol. V (L'Avenir de l'Homme. Paris, Seuil, 1959) The Future of Man. N.Y.: Harper, 1964; 1969 p.b. Very important to an understanding of Teilhard's vision; sets forth the "grand option" that modern humanity must confront in facing the evolutionary future. Vol. VI (L'Energie Humaine. Paris, Seuil, 1962) Human Energy. N.Y.: Harcourt Brace Jovanovich, 1971; 1972 p.b. Six of Teilhard's major essays in which the theme of love energy is treated extensively. Fr. Wildiers considers them of "first importance for the sound understanding of his teaching. They are perhaps some of the most original and valuable expositions that he made." Vol. VII (L'Activation de l'Energie. Paris, Seuil, 1963) The Activation of Energy. N.Y.: Harcourt Brace Jovanovich 1971; 1972 p.b. These essays follow chronologically those in Human Energy and are important to an understanding of the inner coherence of Teilhard's vision. Vol. VIII (La Place de l'Homme dans la Nature. Paris, Seuil, 1963) Man's Place in Nature. N.Y.: Harper, 1966; 1973 p.b. Vol. IX (Science et Christ. Paris, Seuil, 1965) Science and Christ. N.Y.: Harper, 1969. Rich and stimulating ideas of a Christian philosophy for the modern world. Vol. X (Comment Je Crois. Paris, Seuil, 1969) Christianity and Evolution. N.Y.: Harcourt Brace Jovanovich, 1971; 1974 p.b. These essays, which set forth Teilhard's vision of the Christian mystery and the evolving cosmos, include the famous one on Original Sin which was the cause of his banishment to China. The original French title could not be used because of the publication in 1969 of a translation of the title essay "How I Believe" by Harper paperbacks. Vol. XI (La Direction de l'Avenir. Paris, Seuil, 1973) Toward the Future. N.Y.: Harcourt Brace Jovanovich, 1975; 1975 p.b. The theme is that human fulfillment consists in personal communion with the divine center of the evolutionary process, culminating in the spritualization of matter. Includes the famous essay "The Evolution of Chastity." Vol. XII (Ecrits du Temps de la Guerre, 1916-1919. Paris, Grasset, 1965) Writings in Time of War. N.Y.: Harper, 1968. Vol. XII (La Coeur de la Matiere. Paris, Seiuil, 1976) The Heart of Matter. N.Y.: Harcourt Brace Javonovich, 1979. The last of the Collected Works, the book contains in the title essay a spiriual autobiography and in "The Christic" a development of The Divine Milieu. Written towards the end of his life they sum up Teilhard's unique vision. Letters to his parents during his teaching stint in Cairo while still a Jesuit scholastic. Not informative as to the development of his thought. Letters to his parents during his years at the Jesuit Scholasticate in England. The translation is not felicitous and there are many errors. Letters from Paris 1912-1914. N.Y.: Herder & Herder, 1967.
Letters written to his parents while he was at the Musee de l'Homme. A brief exchange of letters, in 1919, about some early essays of Teilhard's which had been submitted to Blondel for his opinion. Pierre Teilhard de Chardin -- Maurice Blondel correspondence. N.Y., Herder& Herder, 1967. This important book should be read with Writings in Time or War, vol. XII of the Collected Works for in his letters to his cousin Marguerite he discusses those essays. Making of a Mind. Letters from a Soldier Priest 1914-1919. N.Y.: Harper, 1965. (Lettres de Voyage 1923-1955. Paris Grasset, 1962) Letters from a Traveller 1923-1955. N.Y.: Harper, 1962; 1968 p.b. Teilhard's vivid impressions of the outer world -- China, the Gobi Desert, Java, India -- and also of the inner world of spirit. This rich collection of 170 letters, many written from Peking, is an intimate journal of Teilhard's inner and outer life during his mature years. Letters to Two Friends 1926-1952. N.Y.: New American Library, 1968; Meridian Books, 1969 p.b. (Lettres a Leontine Zanta. Paris, Desclee, 1965) Letters to Leontine Zanta 1923-1939. N.Y.: Harper, 1969. In letters to this intellectually distinguished and affectionate friend Teilhard unburdens his mind of his troubles with his Society and the Church, gives spiritual direction, and reveals the growth of his thought during these important years. Teilhard, in these letters to his closest confident, presents his unmasked face most clearly, infinitely human and attractive. Here his vision is set forth in it's full maturity. An important book. 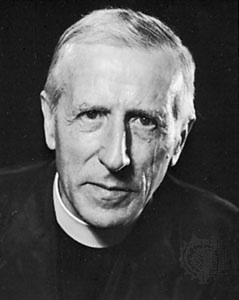 Letters from My Friend -- Correspondence Between Teilhard de Chardin and Pierre Leroy 1948-1955. New York; Paulist/Newman, 1979.